You know J.A. 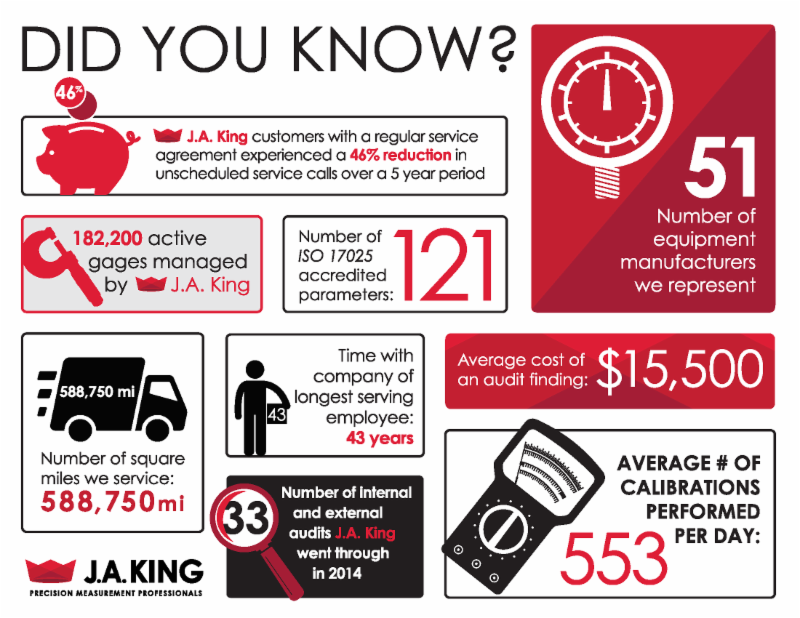 King provides calibration, measurement products, and custom engineered solutions across the Southeast and Midwest, but our latest infographic reveals some lesser known facts about our company and capabilities. J.A. King’s engineering group developed a custom solution for the boutique manufacturer or commercial and household cleaning products to control potentially harmful fumes and improve plant throughput. We’ve just released a new whiteboard animation which gives a demo of our award-winning GageSuite calibration management and asset tracking software.